VADLO is the FASTEST growing search engine in Biology, that allows scientists to search within four unique categories: Protocols, Products, Powerpoints, and Bioinformatics. Protocols category lets you search for methods, techniques, assays, procedures, reagent recipes, plasmid maps, etc. Products category allows searching for commerically available life sciences research reagents. Powerpoints category finds powerpoint files for presentations, seminars, lectures and talks. Bioinformatics category caters calculators, servers, prediction tools, sequence alignment and manipulation tools, primer design etc. VADLO index is expanding everyday and your favorite link/s will be indexed pretty soon. 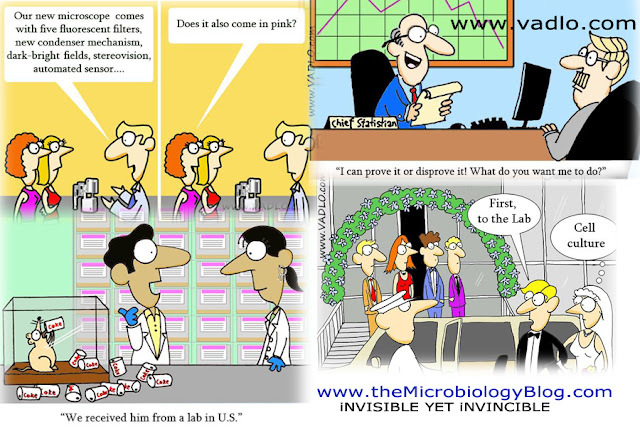 You will also find a number of “Life in Research” Cartoons, that will give you some light moments between intense scientific endeavours.